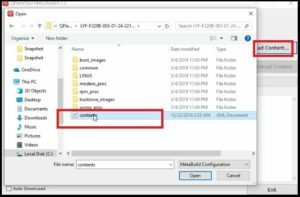 Quick tutorial to flash Jio LYF 220b using QFLash tool. We already published a full detail post to flash Jio F220B using Qfil tool [ visit here]. But we got many comments that they are getting error during the flashing process. So here in this post we are using Qflash tool as a Jio F220B flashing tool which is working fine without any error. Before going to start Jio LYF 220B firmware flashing process, it’s must to know that Jio F220B is a Qualcomm chispet based keypad mobile and it’s firmware comes with “contents” file. So Qflash tool is 100% working and tested free tool for Jio F220B. Same as, if you are getting any flashing error during the Qflash tool flashing process, just follow the below steps as it s and flash jio F220B without error or dead risk. This tutorial will help you to recover dead Jio F220b after flashing. Follow the complete Jio F220B firmware flashing process as shown below and install software on Ji f220b without error. Jio F220B flashing is simple and no any technicall skill require. So you can repair bricked Jio f220b at your own home. Extract all files [ flash file, drivers and tool] on pc in any one folder. Install “Qflash tool” on pc and it will create a “Qflash tool” shortcut on pc. 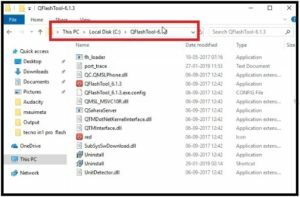 Now copy the “Jio F220b FlaSH file folder” and move it into “Qflash tool” folder location. This step is important, otherwise tool may show error during the flashing process. Remove and reinsert battery for once. Come to the device, press jio f220b boot key. 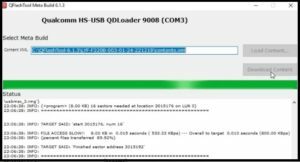 If the device is properly connected into edl mode, you will see “Qualcomm HS-USB Qdloader 9008 port” on tool. Click on “load content” button and load “content” file from flash file folder. Now click on “Download content” button to start firmware flashing process. Process may take long time to flash complete flash file. After successful flashing, tool will close automatically. Remove and reinsert battery and reboot the device. That’s it. If you are getting any null IMEI or 0 IMEI issue on Jio f220B Mobile, read the below tutorial to repair Jio IMEI null problem. This is all about Jio F220B how to flash guide. It’s 100% working and tested without error.